The BITUNIL plant is located in Alexandria, and is equipped with state-of- the art production lines, for the manufacture of high quality products, in strict compliance with internationally recognized Standards. It has a design capacity of 25 million square meters of modified bitumen membranes per annum. 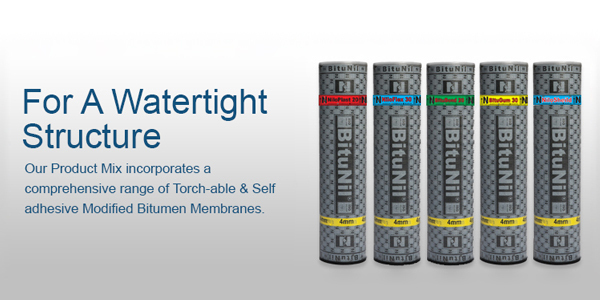 BITUNIL has established a reputation for quality products and commitment to customers and technical service to continue to be the first choice for Consultants and Engineers, and the trusted brand for their waterproofing applications. This can only be achieved by adopting a mission to produce the finest products, embrace new technologies, expand product range, optimize processes for cost effectiveness, provide prominent service and abiding by ethical business behavior. Enclosed are examples of BITUNIL specifications for the most commonly specified roofing and waterproofing systems.